Macbeth, with its use of violence as a political tool, is among the more receptive of Shakespeare`s plays to a modern overlay. Relocated to a 20th century battlefield, this dynamic inaugural production by Tobacco Factory Theatres` new resident professional ensemble, the Factory Company, does this particularly imaginatively. Director Adele Thomas uses the leanness of the text to examine the quest for power for power`s sake, as if it were a contemporary thriller. She finds a relevant metaphor in the tearing apart of a marriage, not through vaulting ambition but the choice of evil as a deliberate means to a corrupt end. 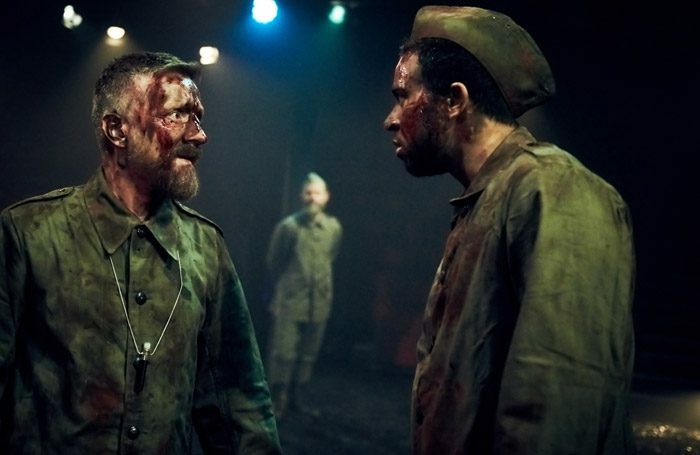 Jonathan McGuinness` troubled Macbeth is more at home in soldiers` fatigues than as a usurper king. It is clearly Katy Stephens`s stunning Lady Macbeth who is the mover and shaker for their murderous deeds. Kevin McCurdy`s rough-and-tumble fight direction adds to the atmosphere of violence, and there is a compellingly fresh approach to the three witches, garbed in ethereal white robes, carrying an illuminated obelisk and chanting in Gaelic. Aaron Anthony is a strong Banquo in both human and ghostly guises, Joseph Tweedale an upright Macduff, and Cait Davis a philosophising drunken porter. But for all the gripping delivery of the text, Matthew Graham`s staccato strobe lighting plot and Max Pappenheim`s echo chamber music and sound come close to snatching the limelight.